Padma Vibhushan Pandit Jasraj-ji is a colossal of Indian classical music. A lifelong devotee of his art, he has played a pivotal role in taking Indian classical music into Indian homes, as well as, on foreign soils. Born in a family of outstanding musicians over four generations, Pandit Jasraj was initiated into music by his revered father, Pandit Motiram, and afterwards by his elder brother and Guru, Pandit Maniram. Vidushi Kala Ramnath has been called the Mozart from South Asia. Hailed by Songline Magazine as one of the best 50 instrumental artistes in the world, she has been nominated for Grammys. She has performed in two Grammy winning ensemble albums, and has featured in Oscar winning soundtracks. A disciple of Prof. T.N. Krishnan, Dr. N. Rajam and Pandit Jasraj; she has received numerous awards such as the Sur-Ratna award and 2017's Sangeet Natak Academy Puraskar. She is the co-founder of bands such as "Raga Afrika", "Global Conversation" and "Yashila" with fellow world artistes. Kaushiki Chakraborty is one of the faces of Indian classical music's young generation. The prodigious talent, Kaushiki, began to perform alongside her father Pandit Ajoy Chakraborty by the age of 12. She has learnt music under renowned artistes such as Smt. Chandana Chakraborty, Pandit Jnan Prakash Ghosh, Pandit Ajoy Chakraborty and Padma Vibhushan Pandit Bal Murali Krishna. An exponent of Khayal gayaki and the Patiyala gharana, Kaushiki is adept at light classical styles such as Thumri, Dadra, Kajri as well. Grandson of Pandit Kumar Gandharva, son of Mukul Shivaputra, Bhuvanesh's musical journey began, unbeknownst to him, in infancy. His music thrived under able tutelage of Smt. Vasundhara Komakali and Shri. Madhup Mudgal. 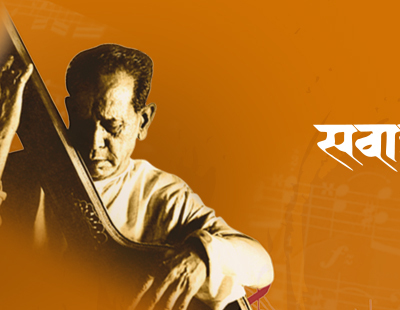 With his unwavering commitment to music, Bhuvanesh is taking forward the timeless legacy of Kumarji’s values and philosophy. He is currently engaged in expanding the archives of Kumarji's music with latest digital technology. Bhuvanesh has performed successfully across India and has been highly appreciated by well versed audience.